Pioneers in the industry, we offer water bottle blowing machine, bottling machine, bottle shrink applicator, automatic bottling machines, automatic water bottling machine and drinking mineral water pet bottling machine from India. We are manufacturer of Water Bottle Blowing Machine which gives you production speed of 200ml to 5000ml. 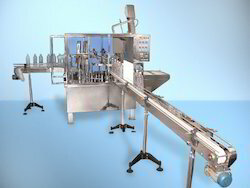 We are the manufacturer of Automatic Rinsing Filling and Capping Machine for Pet Bottles. This is the fully automatic machine with PLC Operation. 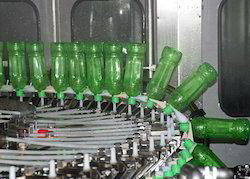 We are a noteworthy manufacturer and supplier of Bottle Shrink Applicator. We use an advanced solution to print the desired label on the bottles with a heating technique. The cutting-edge technology is used to wrap the label perfectly around the bottle. 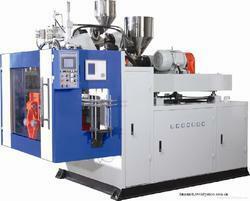 Years of research is being devoted to this packaging machine, which makes it the latest machinery in the market. 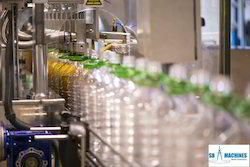 Under the able supervision of trained professionals, we offer an ample range of Automatic Bottling Machines. Inattention to sustain the quality of the products, we have installed high- tech machinery and equipment for the process of manufacturing this Machine. Main motor, air conveyor motor, washing motor, and outfeed conveyor motor produces efficient and prolonged operation. The filling range is about 500 ml to 2 liters which provides fine rinsing. We bring forth a range of Automatic Water Bottling Machine that is suitable for mineral water, medical syrups, juice, and chemicals. These machines are widely demanded, owing to their features of excellent performance, reliable operations, and durability. With the help of quality experts, these machines are strictly tested on various parameters to gauge their quality and efficiency. Easy to install, our range can be designed as per the technical specifications provided by the clients. 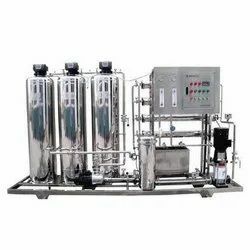 We are an Automatic Water Bottling Machine manufacturer in Chennai. 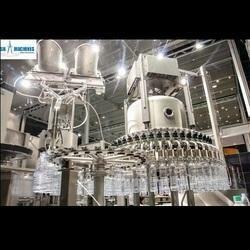 We are an eminent name, which is engaged in offering Drinking Mineral Water Pet Bottling Machine to the clients. 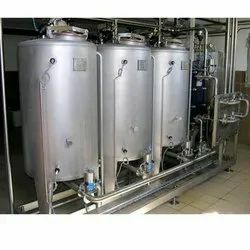 The offered range of water bottling machines is manufactured utilizing high-grade raw material and advanced machinery in strict compliance with the industry laid norms and standards. We are manufacturing Automatic as well as semi Automatic Blow Molding Machine and are supplying to various countries of the Globe. This machine is having so many advanced features as well as features. For more information please do feel free to contact us. 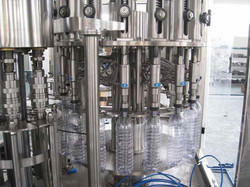 We are the manufacturer of robust quality of Automatic Bottling Machine up to 300 bottles per minute. It adopts the neck holding type conveying-bottle structure to make changing bottle model more convenient, faster and more est. The main machine adopts advanced PLC control technology. 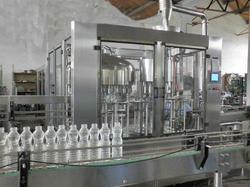 We offer complete set up of Mineral Water Bottling Plant with different capacity. We not only manufacture and supply the plant but give complete set up as a turnkey base.we offer our service from foundation to ISI mark for Products. 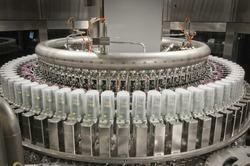 We are the manufacturer of AutomaticBottling Plant in India having an output speed of 600 Bottles Per Minutes. 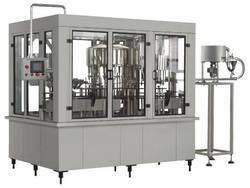 We are Leading Manufacturer of Bottling Machine 60 BPM. We have earned a well-known name that manufactures and supplies the best Mineral Water Rinser Filler Capper Machine in the industry. The technology we use in rinsing, filling and capping the mineral water bottles is latest and most competitive in the industry. This machine ensures that there would be no wastage during the process of filling mineral water. 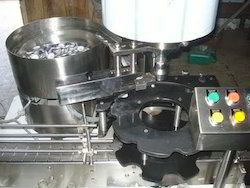 We are the manufacturer of Automatic Crown Capping Machine with advanced features and accurate crimping mechanism. We have supplied this machine to South East Asian Countries, Middle East Countries, African and other developed countries. We would like to request you to kindly contact us for further information about products. We are the manufacturer of Bottling Plant for Rinsing Filling and Capping of Pet Bottles as well as Glass Bottles having an output speed of 40 Bottles Per Minute to 200 Bottles per Minute. We have supplied this machine to Uganda, Algeria, Norway, Middle East Countries and African Countries. For more information about our products please do contact us. 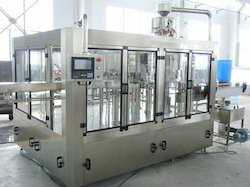 We are Leading Supplier of Bottling Machine. We are offering Carbonated Bottling Machine. We are a famous name engaged in offering automatic Automatic Mineral Water Bottling Machine. 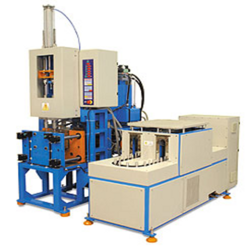 Our offered machines are made from best quality materials and components, which are procured from reliable vendors of the market in compliance with set industry standards. 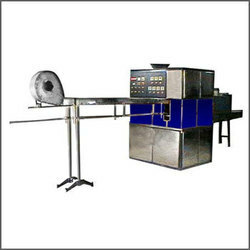 Our offered machine is widely used in various establishments and can be availed from us in different specifications. Recent work was done by us 60 bpm RFC machine complete set up. We are manufacturing Automatic Bottling Machinery having provision for Washing Filling and Capping of Mineral Water as well as Non-Carbonated drinks. We have an output speed of 30BPM/60BPM/90BPM & 120 BPM in this Segment. we have exported to Iran, South Africa, Nigeria, Congo, Turkey, Rwanda, Ethiopia, Pakistan, Bangladesh, Malaysia, and Afghanistan. Kindly contact us for further technical information. 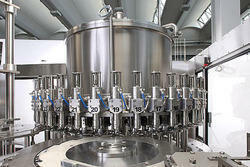 We are manufacturing Complete Turnkey Bottling Plant comprises of all machinery. We are Leading Supplier of Packaged Drinking Water Plant Projects. We are the manufacturer of Semi-Automatic Crown Capping machine, We have supplied this machine to Nigeria, Uganda, Rwanda, South Africa, China, Germany, Taiwan, Nepal, Bhutan and other few countries. 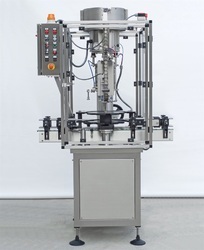 Automatic Rotary Pet Bottle Rinsing Filling and Capping Machine for Water Filling Model ( 6-6-3) having an output speed of 30 Bottles Per Minute. SB Machine also manufactures Mineral Water Plant. 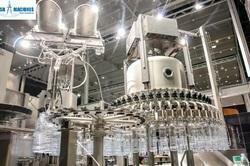 Looking for Bottling Plant ?